Are you looking for the benefits of a memory foam mattress, but prefer the comfort and support of a traditional innerspring? It's time to experience the iSeries? Sleep System by Serta. The iSeries mattresses combine the memory foam innovations with the support of a traditional innerspring. This unique construction works together to provide cradling and cooling comfort at the sleep surface while also providing the individual with deep support. The new iSeries mattress features Cool Action™ Dual Effects? 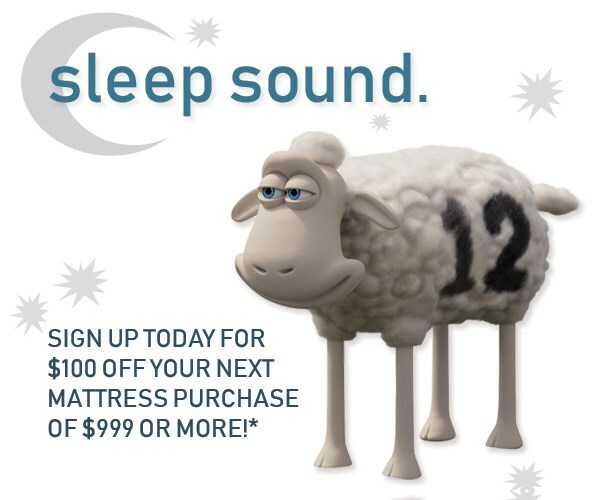 Gel Memory Foam – Serta’s latest breakthrough in gel memory foam technology. This is the world’s first material to combine both Serta's original MicroSupport? gel and MicroCool ™ gel in a material with up to 25% more total gel than the original formula. The exclusive individually wrapped coil support system also got an upgrade by adding even more Duet? Coils, which help properly balance comfort and support across the mattress. Interested in the benefits of gel memory foam, but looking for the support of a traditional innerspring? 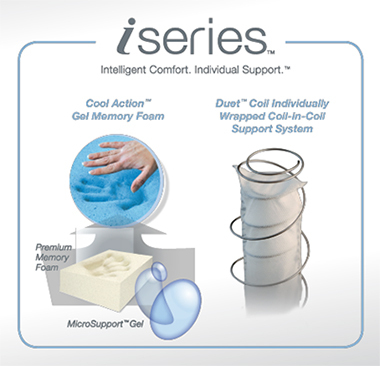 The iSeries collection combines our exclusive Cool Action Gel Memory foam with our most advanced Dual Coil Individually Wrapped Coil-in-Coil Support System. This results in a sleep system with intelligent cradling and cooling comfort at the sleep surface, plus exceptional individualized support for each sleeper. Serta’s revolutionary iSeries™ technology combines Serta’s finest comfort innovation with our most advanced coil support system. For the first time, Serta’s has married our exclusive Cool Action™ Gel Memory foam with our most advanced EuroCoil™ Individually Wrapped Coil-in-Coil Support System. This results in a sleep system with intelligent cradling and cooling comfort at the sleep surface and exceptional individual support for each sleep partner. The world’s first memory foam infused with the cooling touch and support of Serta’s MicroSupport™ Gel. Serta’s most advanced innerspring system is designed to provide individual support to each sleeper.